I am happy to announce that I will be at the College Mall Kroger on Wednesdays from 3:30-6:30pm doing free chair massage for customers. This Kroger location has a Wellness Wednesdays program that offers events throughout the days such as movement classes from the YMCA, yoga from Know Yoga Know Peace, and now chair massage from me! February 10th will be the first day I will be there. Get your shopping done and stop by for a chair massage. Also, if you book a table massage for my office on the spot, save 10% on your massage. Valid one time only. Ahh, I’m laying in a hammock. The waves crash softly to the shore in the distance as the sun peeks through the palm trees above me. The taste of fresh mangoes faintly left in my mouth from the picking them off the tree on my walk down the beach. It is so warm I could faaaallll aaaahhsleeeeeep. Yawn. That was a dream, the beach is gone and instead winter is in full swing here in Bloomington, Indiana. It can certainly be a challenge to beat the winter blues and stay healthy. While the weather might not be conducive for long bicycle rides on the B-Line, finding a way to get regular moderate exercise can boost your immune system. Bloomington is rife with gyms and classes but if that isn’t your style, bundling up on nicer days and going on a brisk walk or home exercises can also come in handy. There is also, I can’t believe I’m going to say this, the mall. Yes, the mall. If you don’t have a gym membership is the longest indoor stretch you can walk in town. My good friend, Jessica Mott, updates daily fitness challenges that last 4-10 minutes on her website, http://thrivebloomington.com/blog/. She focuses on functional fitness for our every day lives. Researchers have also found that for those who exercise regularly, the immune system has a blunted stress response. This indicates the immune system has adapted to regular exercise and can tolerate this kind of stress much better. Just like our muscles adapt to exercise over time, so does our immune system. In general, it’s fair to say that research has shown that regular, moderate physical activity can be beneficial to your immune system. Take your time. Your immune system and the rest of your body will need time to adapt to regular exercise. Start at a duration and intensity level you can easily manage. For some that may be 30 minutes, for others, it may be 10 minutes. Also, a little self promotion, Lymph Drainage Therapy can boost your immune system by increasing the production of lymphocytes. Receiving a short treatment, or adding it into a massage, can help with sinus drainage and getting over a lingering illness. I began my massage career in 2005 simply on a hunch that it would be something I would enjoy and I wouldn’t have to sit in an office all day. I graduated from Indiana University in 2000 and the world was my oyster. I travelled on my bicycle for months on end and held odd jobs to save up money for more adventures. Eventually, I came to the conclusion that since I am not independently wealthy, this wasn’t a lifestyle I could continue. Job training was necessary. I enrolled in the Alexandria School of Scientific Therapeutics in 2005 and I was off running towards my massage training! I have truly enjoyed learning more about bodywork and helping others be pain free. One skill I have unconsciously crafted is the ability to create a safe place for people. With CranioSacral Therapy training, one can gently relieve anxiety and tension throughout the body, which may be caused by physical or emotional traumas. What clients have told me is that through my CST work and massage, they have been helped on an emotional level without requiring me to get them to talk about the troubles they are experiencing. Once I found out clients were being helped in this way, I was so happy! We can’t deny the mind body connection and how stress affects our daily lives, but I’m not a talk therapist and I don’t want to get in over my head, or get outside of my scope of practice. You are always welcome to share with me, I provide an open and non-judgmental environment, but if you aren’t comfortable sharing details with me, never fear! You can still have receive a therapeutic treatment. I am always trying to improve my business for not only my clients’ well being but also convenience. I have just added a feature to make purchasing a massage gift certificate directly from my website possible. 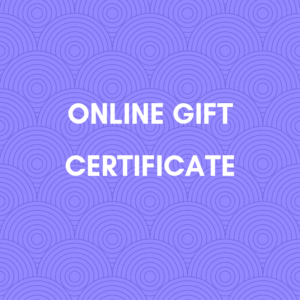 If you are on the home page, simply click on the icon on the right for purchasing an online gift certificate. You will be directed to an offsite vendor, The Gift Card Cafe, to complete the transaction. You may choose between sending them an electronic gift card or have me mail the one via snail mail. I appreciate the support from my clients and hope this makes gift giving easier for them! In the past 2 years I’ve really gotten into listening to podcasts. It seems to have coincided with being pregnant, having a baby, and being home more. Stuff To Blow Your Mind is a science podcast that I listen to sometimes and this episode on napping is all the validation you need to grab some zs. After having my daughter I pretty much ran on 2-4 hours of sleep until she turned a year this May. I felt like a zombie. People told me that as a new mom I should sleep when the baby sleeps but I could rarely discipline myself to do that, maybe it was all the podcasts I wanted to catch up on. Had I heeded the advice to nap, maybe I would have been in less of a haze for the first year. These podcast hosts are entertaining and cite a lot of research into the power of the nap. I’ll let you listen to get the details but some of the benefits from a 20-30 minute nap are: reduction in the fight or flight response if you have had a poor night of sleep the night before, reduced blood pressure, improved memory, and improved response times. All of these benefits come from a short nap! Combine it with a little caffeine and you’re in top shape! If you have 30 minutes and are the podcasting type, give this Stuff To Blow Your Mind episode a listen. Then take a nap. 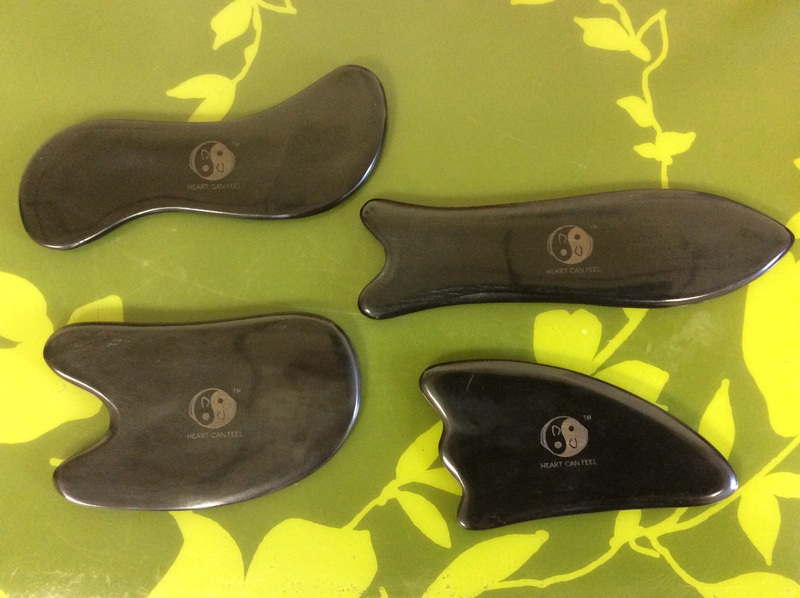 As my interest in Gua Sha has increased, I have sought resources to educate myself and others about the technique. This video gives a wonderful demonstration of Gua Sha, it’s benefits, and how it is effective for pain management and bolstering health. 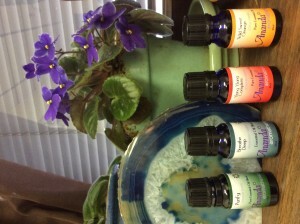 New aromatherapy essential oils are here! I have some great new oils from Ananda Apothecary that I have just added to my collection. Aromatherapy is always free to add to your massage at Trillium Bodywork, just ask. Sweet Orange is a wonderfully uplifting scent, Breathe Easy is great to add to the diffuser or apply to your chest if you have the sniffles, Purify is more of a diffuser blend but can also be applied to the bottoms of the feet to keep germs at bay, and I just love the smell of Ylang Ylang but it is also calming and relaxing. I am excited about using the oils from Ananda Apothecary because they are therapeutic grade and they go out of their way to source the highest quality oils seek out small farmers and distilleries from around the world. Is Lymph Drainage Therapy for you? I have been loving the Lymph Drainage Therapy (LDT) techniques! I took this class in 2007 but I never stayed with practicing the therapy. I retook the same class this May and I have been impressed with the results on myself and clients in this short period of time. I’ve had reports of reduced sinus drainage, tightening and toning of the skin, improved gastrointestinal function, and reduced swelling. Why the heck would you want your Lymph Drainage Therapy? Our lymphatic system is the waste removal system for our bodies. Lymph is present everywhere in our bodies, moving along cellular waste to eventually be eliminated from the body. LDT speeds up the movement and in turn can promote healing. Areas where the lymph has become stagnant can be stimulated and improve the flow. If this treatment “speaks” to you, I encourage you to book an appointment. This is a very powerful treatment so I am unable to work on you wit LDT if you have the following: active cancer, lymph nodes removed or biopsied, are in your first trimester of pregnancy, major cardiac or circulatory problems, or acute infection. Here is a link from the Chikly Institute with a more expansive list of indications and benefits. 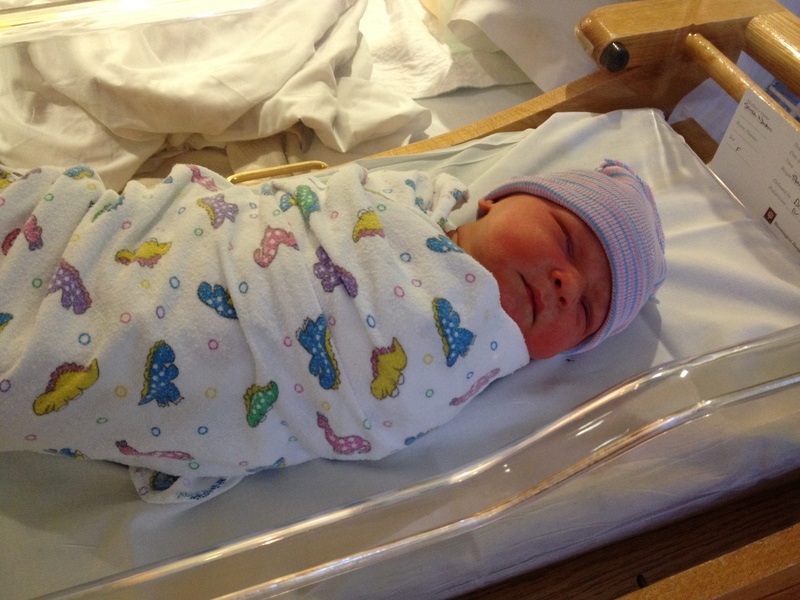 One year ago at this time, I was in the second trimester of my first pregnancy. As pregnancies go, I didn’t have it too bad. I was still able to work, work out, walk the dog, and still be a fairly emotionally stable member of society. Throughout my pregnancy I continued to receive regular massage from several local massage therapists and this was a piece of the puzzle to hold myself together. A happy mother is a happy baby. Fetuses are able to sense stress levels of the mother and the nervous system of the mother is imprinted on the growing baby. Prenatal massage is one way to keep mama relaxed and feeling good. Additionally, prenatal massage can help with the increasing discomforts of pregnancy such as sciatic pain, edema, back pain, and neck pain. As I have returned from maternity leave, I have had an increased interest in pregnancy and post-natal healing which has lead me to pursue a certification in prenatal massage. Combining my 8 years of massage therapy practice, my own pregnancy, birth, and post-natal experience, and my recent certification in prenatal massage, I am happy to work with pregnant women in the Bloomington community. I look forward to hearing from you!